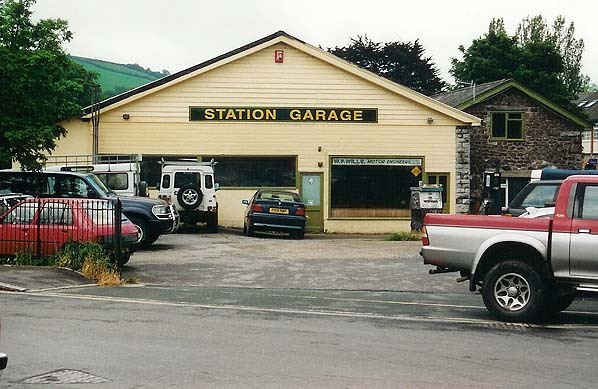 Present state: The main station building and trainshed is a listed structure and survives as a garage. The adjacent goods shed also survives. The platform has, however, been demolished. 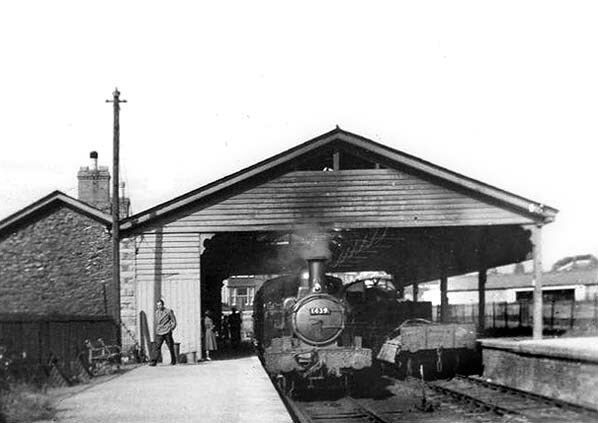 original South Devon Railway was subsequently taken over by the Great Western Railway in 1876. The line being converted to Standard Gauge (4ft 8½ inches) along with the rest of the Great Western Railway network, over one weekend in 1892.
ran, before even Dr. Beeching came on the scene. Freight however, continued until 7th September 1962 when that finally dwindled to nothing. not run until 5th April 1969 due to difficulties in obtaining a Light Railway Order from the then Ministry of Transport. 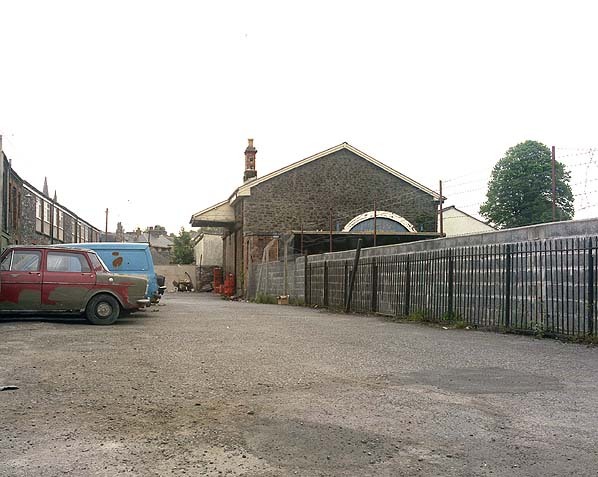 For a short period some Dart Valley Railway works trains ran into Ashburton but this stopped in 1971. 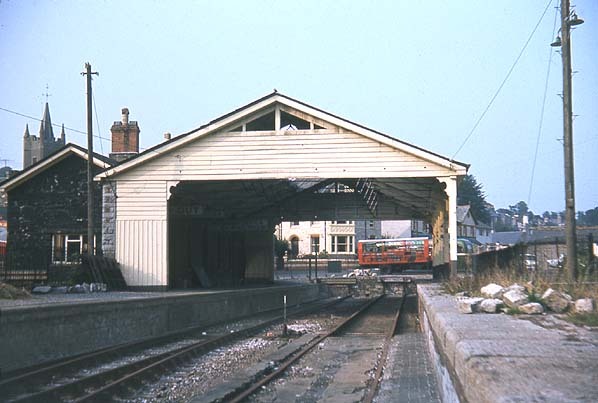 The last passenger train into Ashburton was the British Rail (W.R.) Farewell to Ashburton railtour on 2 October 1971. 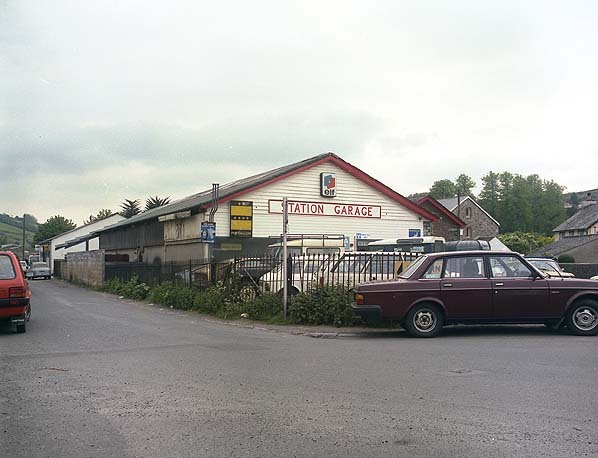 The last 2 miles of the line to Ashburton were then severed to allow improvements to the A38 trunk road which incorporated part of the line between Buckfastleigh and Ashburton. In recent times a survey has been conducted on the feasibility of rebuilding the line into Ashburton. Click here for a more detailed branch history. 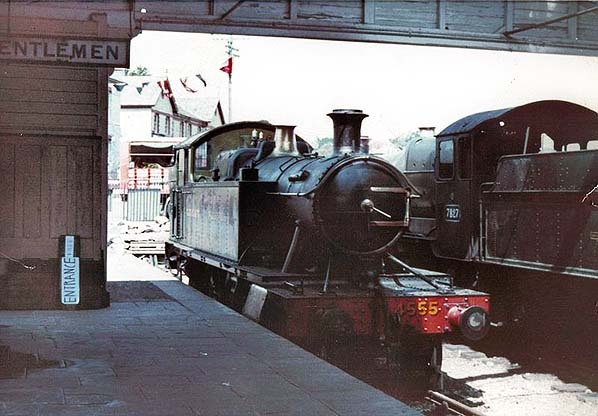 Dart Valley Railway locos at Ashburton in 1969. 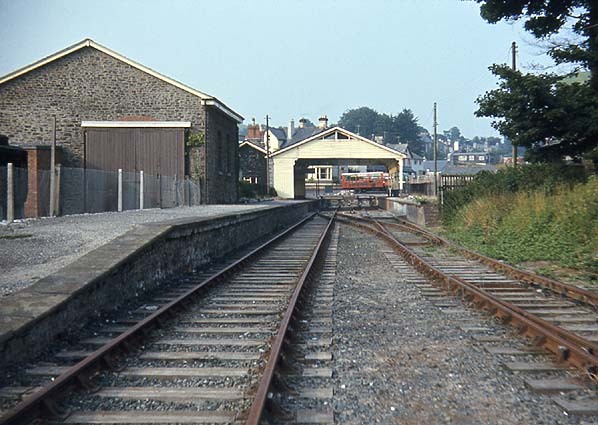 Ashburton Station in August 1969.